Refer to the exhibit. Which is the best way for PC A and PC B to successfully communicate with sites on the Internet? 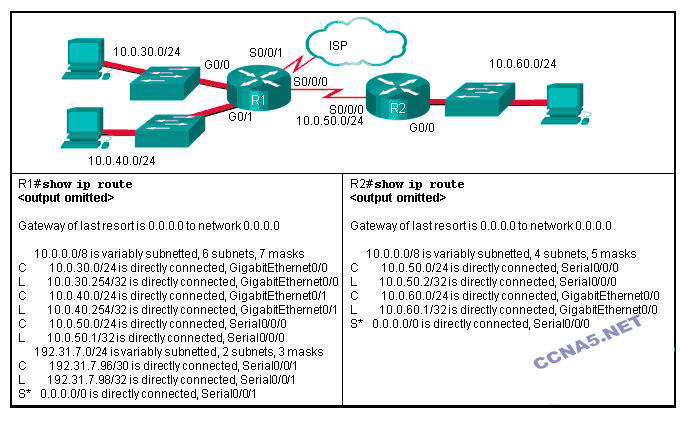 Configure a default route from R1 to ISP and a static route from ISP to R1. 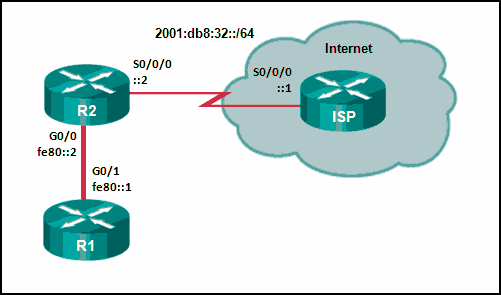 Configure a static route from R1 to ISP and a dynamic route from ISP to R1. Configure a routing protocol between R1 and ISP and advertise all the routes. 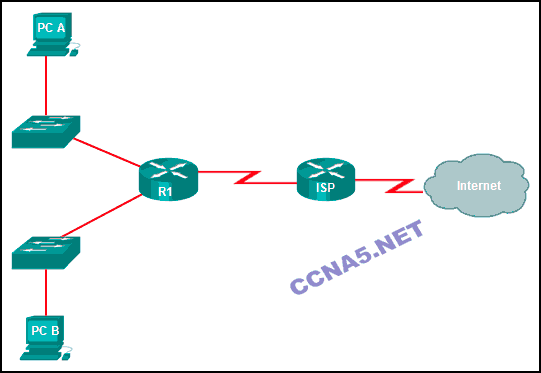 Configure a dynamic route from R1 to ISP and a static route from ISP to R1. All subnets in a network are the same size. What does VLSM allow a network administrator to do? 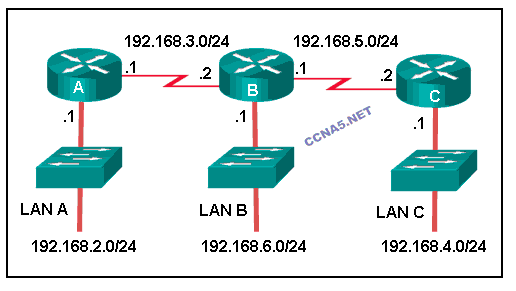 What would be the best summary route for the following networks? 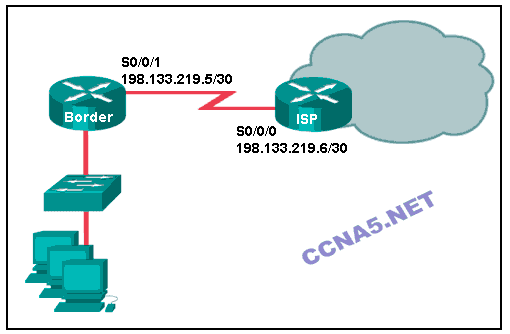 What is a valid summary route for IPv6 networks 2001:0DB8:ACAD:4::/64, 2001:0DB8:ACAD:5::/64, 2001:0DB8:ACAD:6::/64, and 2001:0DB8:ACAD:7::/64? 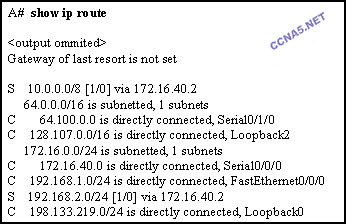 What happens to a static route entry in a routing table when the outgoing interface is not available? The router redirects the static route to compensate for the loss of the next hop device. The route is removed from the table. The route remains in the table because it was defined as static. Open the PT activity. Perform the tasks in the activity instructions and then answer the question. What is the name of the web server that is displayed in the webpage? 24. 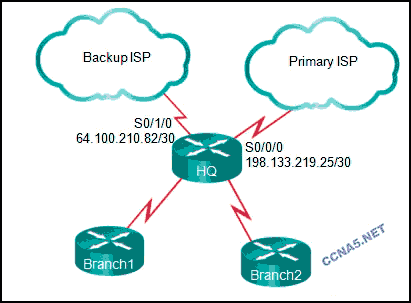 What would be the first step in calculating a summarized route for 5 networks? Write all subnet masks in binary. Write all network numbers in binary. Starting from the far right, determine the octet in which all the numbers are the same. Determine the network with the lowest number. 26. Refer to the exhibit. What routing solution will allow both PC A and PC B to access the Internet with the minimum amount of router CPU and network bandwidth utilization? 27. What is the correct syntax of a floating static route? 28. What happens to a static route entry in a routing table when the outgoing interface associated with that route goes into the down state? R1 receives a packet destined for the IP address 192.168.2.10. Out which interface will R1 forward the packet?